Do you need new screens, gauzes, tubes or balloons for your vaporizer's maintenance? Have a look at all the vaporizer accessories and spare parts at a single place. Only buy accessories suitable for your vaporizer brand. 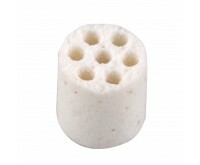 FocusVape Ceramic Sieve 6 mm 3 pcs. 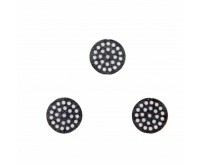 FocusVape Mouthpiece Screens (Gaasjes) 6 mm 3 pcs. You will find all vaporizer accessories or parts at the Dutch-Headshop. 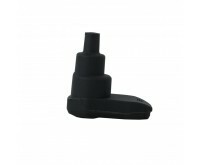 Separate accessories are essential for correct operation of the vaporizer. Vaping will be more much pleasant! A vaporizer is a healthy alternative for smoking marijuana or herbs. Herbs are evaporated in a vaporizer, reducing the release of harmful substances. Or course you can order your vaporizers at the Dutch-Headshop. They are available in many models, of several high-quality and popular labels. More than sufficient products are available at the Dutch-Headshop to ensure optimal functioning of your vaporizer. Below you will find an overview of the types of products available. 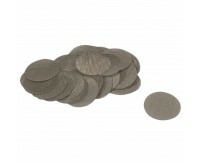 Screens or gauzes prevent crumbles or ashes getting into your mouth. Also, vapors are well-filtered thanks to the screens. 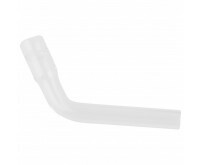 Hoses and tubes ensure you can inhale in a proper and healthy manner. Tubes are available in three shapes. Choose between a curved glass inhaler tube, a straight glass inhaler tube and a glass potpourri. For balloon vaporizers, you can order additional balloons here. Think of the Arizer Extreme-Q Vaporizer, Volcano Vaporizer Classic and the Volcano Vaporizer Digital, for example. 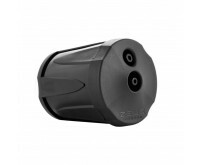 Adapters are suitable to charge the vaporizer's battery. A vaporizer can simply be used during charging. Vaporizer accessories are brand specific. Therefore, it is important to check whether a part is of the same vaporizer label, so you are sure the item will fit your vaporizer. Accessories are sold for brands such as Arizer, Iolite, Vapir and Volcano. Arizer is the label for which by far the most parts are offered. The label has several high-quality vaporizers, which logically require a lot of separate accessories. Use parts from the Dutch-Headshop for maintaining your vaporizer, so you can enjoy your vaporizer the best way possible.